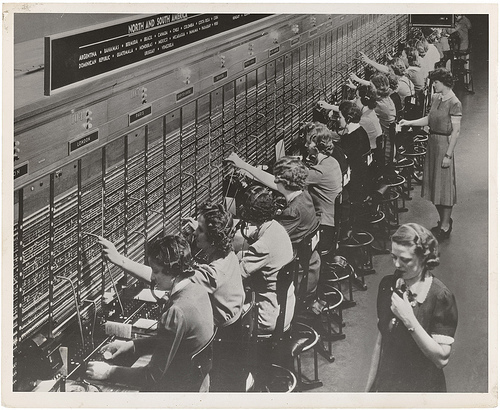 The future of information is something I'm deeply interested in, but no such intellectual exploit is complete without a full understanding of its past. The Information: A History, a Theory, a Flood, by iconic science writer James Gleick, is easily the most ambitious, compelling, insert-word-of-intellectual-awe-here book to read this year, illustrating the central dogma of information theory through a riveting journey across African drum languages, the story of the Morse code, the history of the French optical telegraph, and a number of other fascinating facets of humanity's infinite quest to transmit what matters with ever-greater efficiency. But what makes the book most compelling to me is that, unlike some of his more defeatist contemporaries, Gleick roots his core argument in a certain faith in humanity, in our moral and intellectual capacity for elevation, making the evolution and flood of information an occasion to celebrate new opportunities and expand our limits, rather than to despair and disengage. 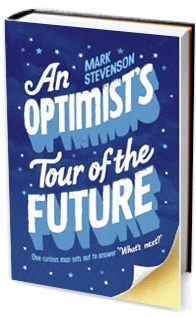 After life threw comedian Mark Stevenson a curveball that made him face his own mortality, he spent a year traveling 60,000 miles across four continents and talked to scientists, philosophers, inventors, politicians, and other thought leaders around the world, looking for an antidote to the dystopian visions for the technology-driven future of humanity so pervasive in today's culture. He synthesized these fascinating insights in An Optimist's Tour of the Future: One Curious Man Sets Out to Answer "What's Next?" 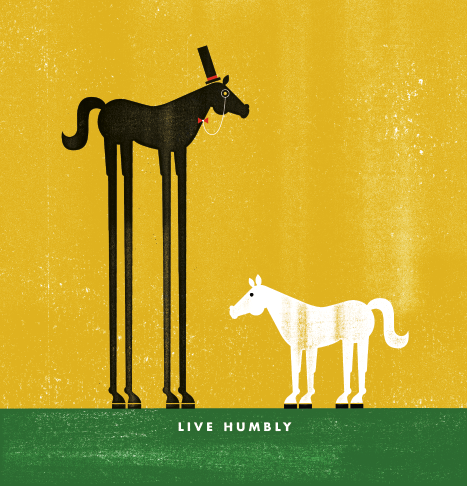 -- an illuminating and refreshingly hopeful guide to our shared tomorrow. From longevity science to robotics to cancer research, Stevenson explores the most cutting-edge ideas in science and technology from around the world, the important ethical and philosophical questions they raise, and, perhaps most importantly, the incredible potential for innovation through the cross-pollination of these different ideas and disciplines. 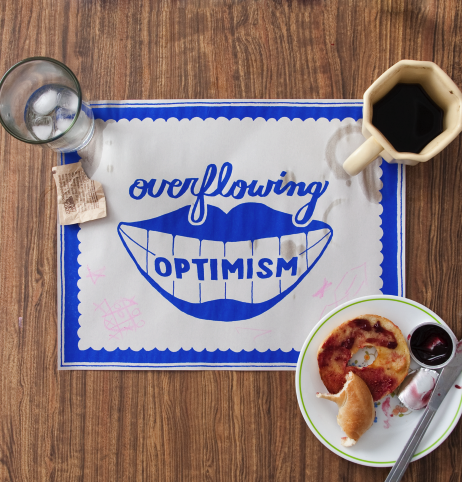 An Optimist's Tour of the Future comes as an auspicious yet grounded vision for what we've previously explored in discussing the future of the Internet and what the Web is doing to our brains. Keeping with the theme of optimism -- because, really, who wants to dampen sunshine and the summer wind with another dystopian downer? 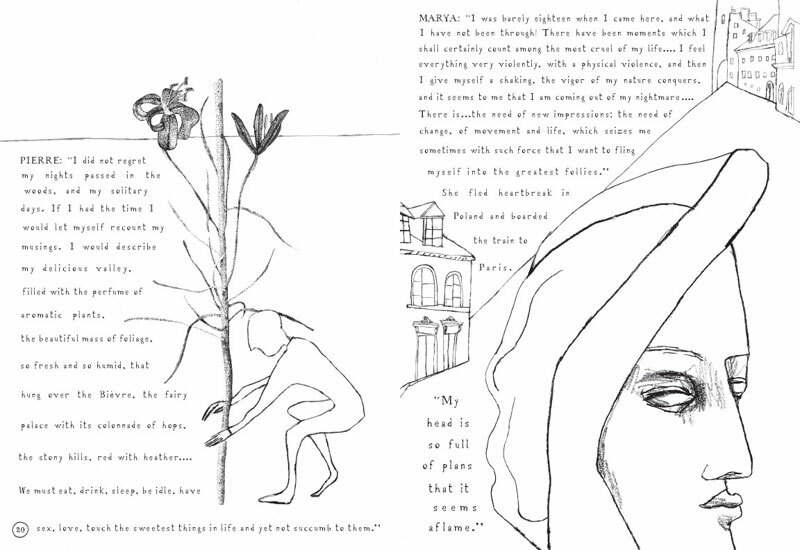 -- here's a lovely project born, just like Stevenson's, out of a stark confrontation with mortality. 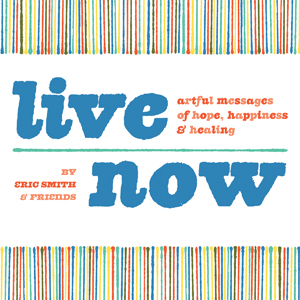 When illustrator Eric Smith was diagnosed with three different types of cancer, he decided to start a collaborative art project inviting people to live in the moment through beautiful, poetic, earnest artwork that celebrates life. This season, the project was published as a book, the candidly titled Live Now: Artful Messages of Hope, Happiness & Healing -- an absolute treasure of Carpe Diem gold in the vein of Everything Is Going To Be OK, full of stunning illustration and design reminding us of what we all semi-secretly want to believe but the cynics in us all too often discount. Kirstin Butler's full review, with more images, here. 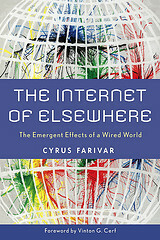 From how Skype was invented in Estonia to why Senegal may be Sub-Saharan Africa's best chance for widespread public Internet access to what makes South Korea the most wired country in the world, the book offers profiles of local tech pioneers alongside insightful analyses of cultural context and what the "developed world" can learn from these countries, in some cases years ahead in harnessing the sociopolitical virtues of web technology. And, in a meta move true to the subject matter, Farivar successfully funded the book's European tour on Kickstarter. 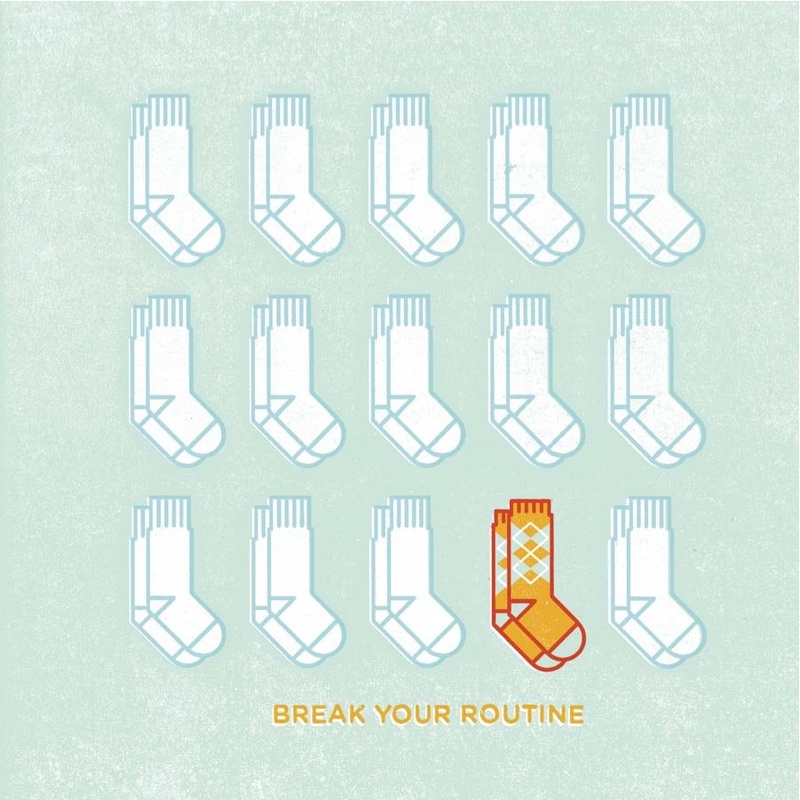 Reinventing the broken system of today's formal education is one of our era's most pressing cultural concerns. 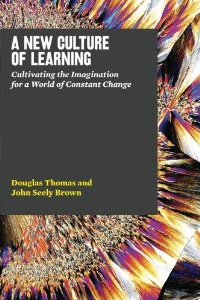 And while most conversations on the subject can be redundant, navel-gazy and ultimately ineffectual, Douglas Thomas and John Seely Brown bring a refreshing perspective on the subject with equal parts insight, imagination and optimism. Besides being one of our 7 must-read books on education, their A New Culture of Learning: Cultivating the Imagination for a World of Constant Change is the most popular book featured on Brain Pickings this year, and for good reason -- it makes a compelling case for a new kind of learning, one growing synchronously and fluidly with technology rather than resisting it with restless anxiety, a vision that falls somewhere between Sir Ken Robinson's call for creativity in education paradigms and Clay Shirky's notion of "cognitive surplus." We live in a culture that puts a premium on customization, but this ultra-personalization has its price when it comes to the information we're being served. That's exactly what Eli Pariser, founder of public policy advocacy group MoveOn.org, explores in his fascinating and, depending on where you fall on the privacy spectrum, potentially unsettling new book, The Filter Bubble -- a compelling deep-dive into the invisible algorithmic editing on the web, a world where we're being shown more of what algorithms think we want to see and less of what we should see. (Did you know that Google takes into account 57 individual data points before serving you the results you searched for?) 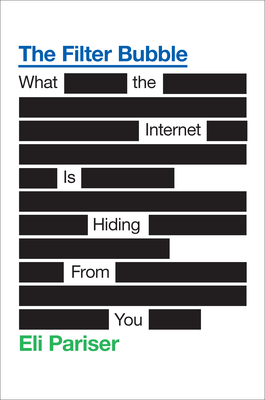 Implicitly, the book raises some pivotal questions about the future of the information economy and the balance between algorithm and curator -- something I feel particularly strongly about. Martin Seligman is best-known as the father of the positive psychology movement -- a potent antidote to the traditional "disease model" of psychology, which focuses on how to relieve suffering rather than how to amplify well-being. His seminal book, Authentic Happiness, was one of our 7 must-read books on the art and science of happiness. This season, he has finally released his much-anticipated, and somewhat controversial, follow-up: Flourish: A Visionary New Understanding of Happiness and Well-being -- a distinct departure from Seligman's prior conception of happiness, which he now frames as overly simplistic and inferior to the higher ideal of lasting well-being. 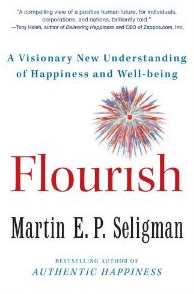 Without being a self-help book, Flourish manages to offer insightful techniques to optimize yourself, your relationships and your business for well-being, based on empirical evidence culled from years of Seligman's rigorous research. Full review, along with a primer by way of Seligman's 2004 TED talk, here. The future of publishing is something I ponder daily. And while mainstream media was busy announcing the death of the book, The Millions founders Jeff Martin and C. Max Magee did something better: They assembled an all-star team of literary visionaries and asked them what the future of the written word holds. 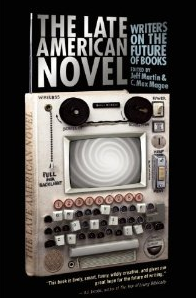 The results -- funny, poignant, relentlessly thought-provoking -- are gathered in The Late American Novel: Writers on the Future of Books, spanning a remarkable array of perspectives and styles, from historical context to comic relief to the difficult questions that have to be asked. Kirstin Butler's full review, with ample quotes from the book, here. Marie Curie is one of the most extraordinary figures in the history of science. A pioneer in researching radioactivity, a field the very name for which she coined, she was not only the first woman to win a Nobel Prize but also the first person to win two Nobel Prizes, and in two different sciences at that, chemistry and physics. 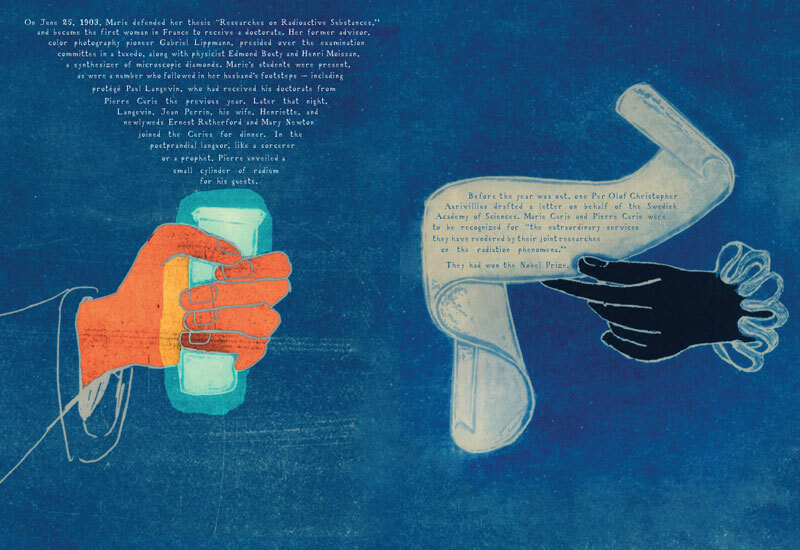 Radioactive: Marie & Pierre Curie: A Tale of Love and Fallout is an endlessly beautiful cross-pollination of art and science, in which artist Lauren Redniss tells the story of Curie through the two invisible but powerful threads of her life: radioactivity and romance. It's a turbulent story -- her passionate love with Pierre Curie (honeymoon on bicycles! 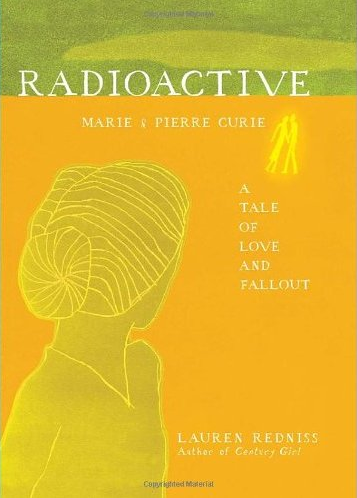 ), the epic discovery of radium and polonium, Pierre's sudden death in a freak accident in 1906, Marie's affair with physicist Paul Langevin, her coveted second Noble Prize -- brimming with poignant reflections on the implications of Curie's work more than a century later as we face ethically polarized issues like nuclear energy, radiation therapy in medicine, nuclear weapons and more. 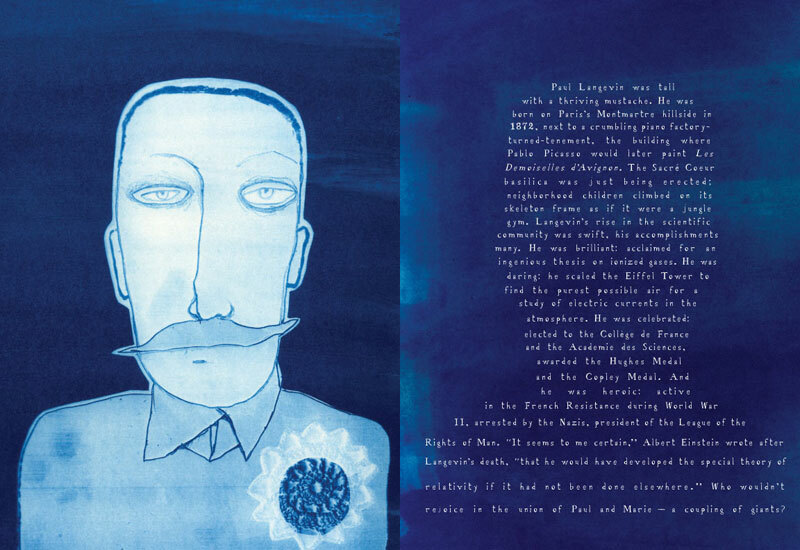 To honor Curie's spirit and legacy, Redniss rendered her poetic artwork in an obscure early-20th-century image printing process called cyanotype, critical to the discovery of both x-rays and radioactivity itself -- a cameraless photographic technique in which paper is coated with light-sensitive chemicals. 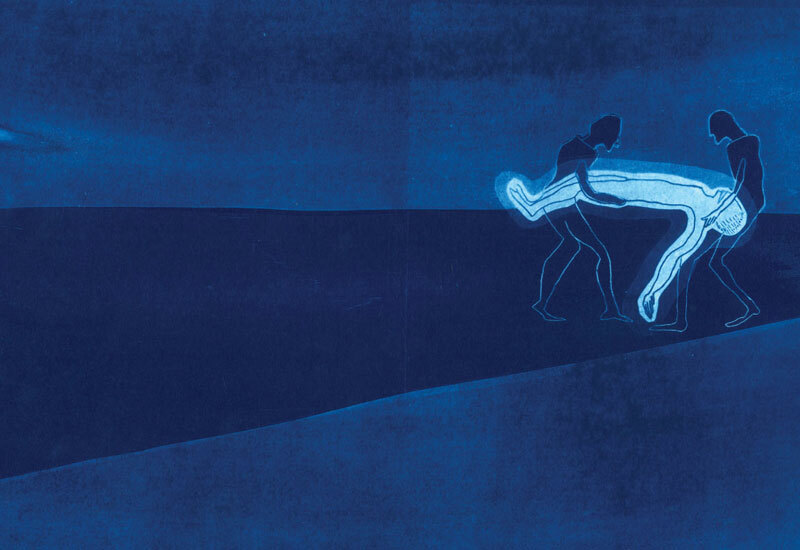 Once exposed to the sun's UV rays, this chemically-treated paper turns a deep blue color. The text in the book is a unique typeface Redniss designed using the title pages of 18th- and 19th-century manuscripts from the New York Public Library archive. She named it Eusapia LR, for the croquet-playing, sexually ravenous Italian Spiritualist medium whose séances the Curies used to attend. 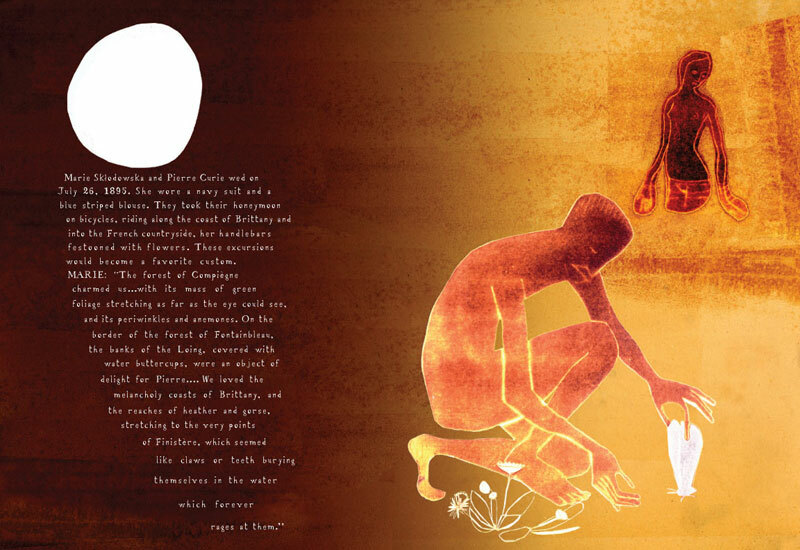 The book's cover is printed in glow-in-the-dark ink. In 1997, iconic writer Kurt Vonnegut pitched an idea to New York public radio station WNYC: He would conduct fictional interviews with dead cultural luminaries and ordinary people through controlled near-death experiences courtesy of real-life physician-assisted suicide proponent Dr. Jack Kevorkian, allowing the author to access heaven, converse with his subjects, and leave before it's too late. The producers loved the idea and Vonnegut churned out a number of 90-second segments "interviewing" anyone from Jesus to Hitler to Isaac Asimov. 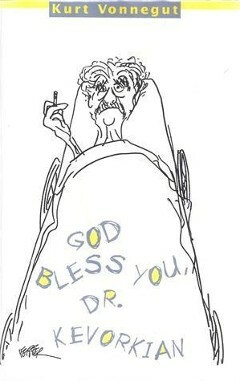 The interviews -- funny, poignant, illuminating, timeless, profoundly human -- are collected in God Bless You, Dr. Kevorkian, a fantastic anthology playing on the title of Vonnegut's 1965 novel, God Bless You, Mr. Rosewater, some of the best cultural satire of the past century. Full review, with a rare transcript from Vonnegut's original pitch for the series to WNYC, here.